I was preparing for easter egg hunt and stuffing those plastic dollar store eggs with treats when I ended up with a bunch of extra chocolates. I do not really have a sweet tooth so I had to think of ways to use them. I decided to make these little treat boxes for my DD's friends. 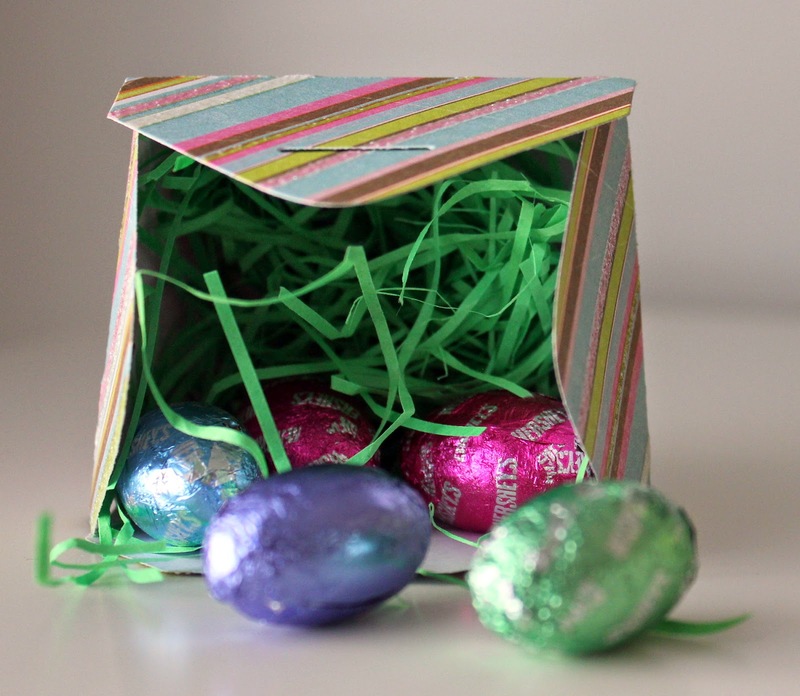 I used Papertrey's mini take out box and placed some shredded paper grass inside topped with the little egg chocolate treats. 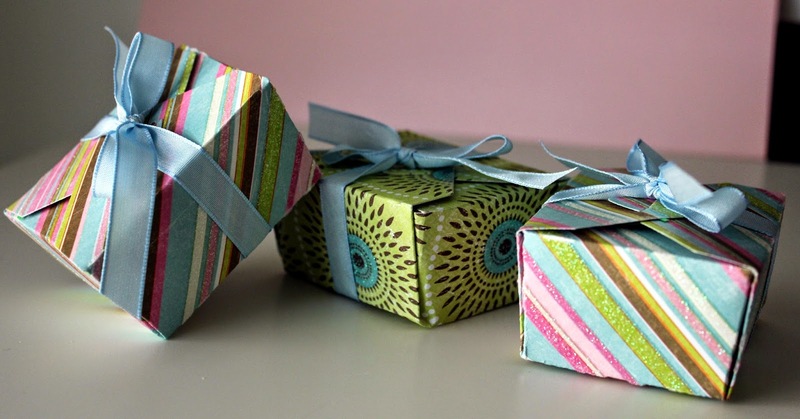 Here is how I finished them up with a simple ribbon. Thanks for stopping by! And if you are celebrating, Happy Easter! Cute, cute, cute! What a great use for the your extra candy too. These are adorable! What a sweet little package - they would certainly brighten anyone's day!